Back in 2006, the NMHockey league moved away from basic league practice jerseys to a much nicer, higher quality sweater. The NMHockey jerseys are custom made by OT Sports. 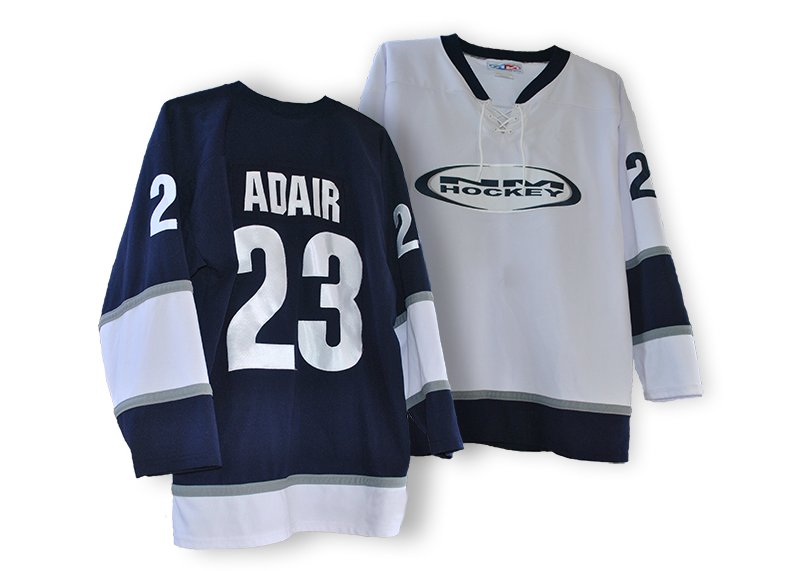 Each player that signs up as a rostered member of the league can purchase a set of the blue and white jerseys. This is the only set of jerseys a player is required to purchase even if they move between divisions. 5 year patch – Given to players upon their 5 year anniversary as a member of the league. 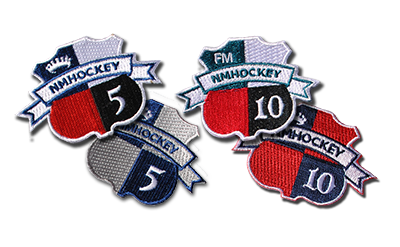 10 year patch – Replaces the 5 year patch and is given to players upon their 10 year anniversary as a member of the league. * Special 5 and 10 year patches were created for the founding members that are still playing in the league. They are decorated with the 4 colors of the original 4 teams (Red, Blue, Black and White) for which the teams were named. Green = B2 and B1 Divisions. Fundraising Patches – In 2014 the NMHockey league held a season long fundraiser for the Carrie Tingley Hospital Foundation. 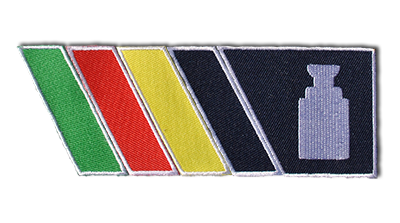 As a part of this fundraiser, a patch set was created to award the top fundraiser from each division. The patch set includes a main patch and a smaller, specific fundraising patch which is placed within the main patch. Future league fundraisers will have the additional specific patches created for them. 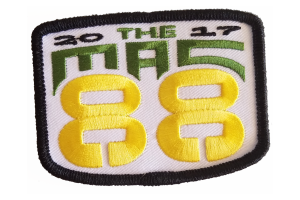 “MAC 88” Patches – Created in the Spring of 2017 to commemorate the first 88 players to roster at the MAC in Rio Rancho for the inaugural NMHockey season. 44 players were rostered to the Tuesday Intermediate – Advanced division and 44 players rostered to the Thursday Beginner – Intermediate division. Each player received 2 patches to adorn their jerseys.